What Is a Chocolate Run? The Sweetest Race chocolate run is a joyous morning run through the backroads of central Texas with five stops allowing our runners to sample different chocolate treats donated by local area vendors! 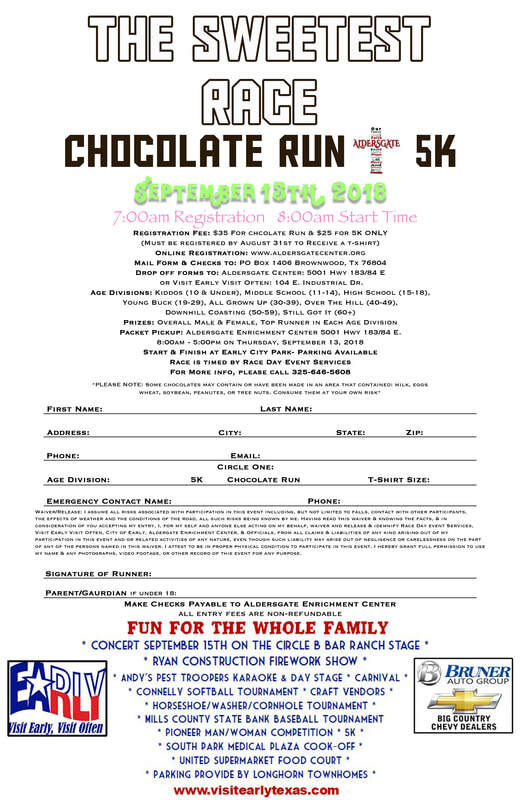 The Chocolate Run and 5K will be run on the same course. The 5K participants will begin at 8:00am and the chocolate run participants will start at 8:30am as not to disrupt the participants who are racing for time.